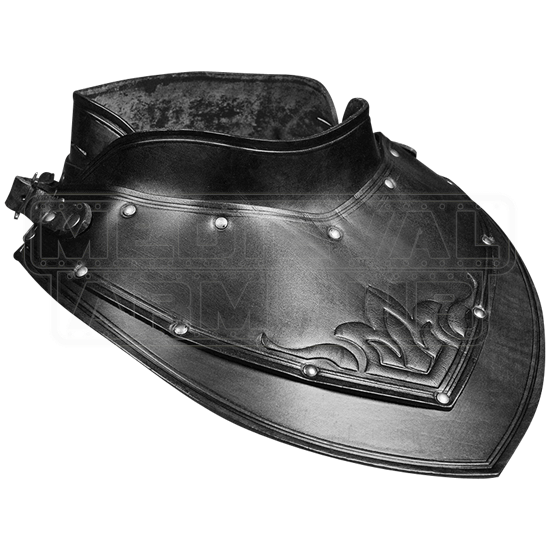 With its stand-up collar and fleur-de-lis patterns, the Siegfried Leather Gorget successfully blends a solid defense with style. 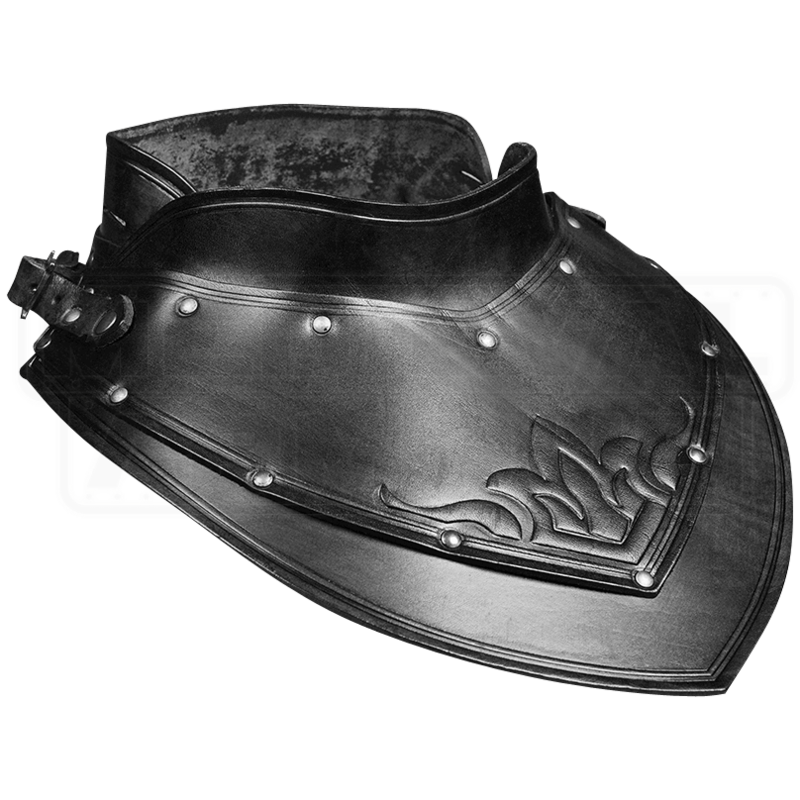 Create a medieval warrior worthy of the LARP battlefield with this versatile piece as part of your armour. Crafted from high-quality leather, the mantle possesses an antique patina finish. Multiple riveted segments increase the deflection capabilities of the neck armour. Offset edging and embossed imagery lend it a distinctive, medieval flair. Floral patterns decorate the uppermost layers in the front and back. Two buckle straps adjust the fit at the shoulders, while two more straps allow easy attachment of pauldrons.